Modern technology is constantly remodeling our lives. Thanks to portable computers, handheld devices and ubiquitous internet many of our activities moved to virtual realms. Our consumption habits had changed drastically throughout last decade and we are continuously drifting towards moving more and more real life services to internet. There are some good reasons to do so. No one can argue It’s quick and convenient for customers. It also has a lot of benefits for business owners. Moving business to internet allows to reduce costs, streamline processes and increase effectiveness. This is very true for traditional businesses, like trade or retail services. But it also may be true in more unusual applications. Although most of us still has to go to work every weekday, remote jobs are gaining their place in employment landscape. There are many occupations which doesn’t require physical presence in office. And many people indeed do their work from home. But as far as remote jobs are present in corporate landscape, there was rather steep adoption curve when it comes to freelancers. There are many factors contributing to this. It seems that in some of professions the trade itself cannot be comfortably moved to virtual at all. People like advisors, language teachers, doctors, lecturers, psychologists or business coaches, whose work depends on verbal contact were traditionally tied to physical spaces to meet their customers and students. Of course there are some solutions for telepresence on the market, but those are cumbersome to use, tie the freelancer to one platform and most often offer unsatisfactory account settlement conditions. With these platforms you are becoming more of the full time employee, than someone who has his future in his own hands. On.Live is stands out in this regard. As people are choosing freelance work to have more control over their time and earnings, On.Live has chosen an approach providing just that. With us, you are at the wheel. We do not impose anything, neither the prices for your services, nor your online availability. The platform is crafted as open live services marketplace, and like in real marketplace, every participant is free to set his own rules, and provide his service however he likes. We are securing all your necessary software and hardware infrastructure. All you really need to start working remotely with your customers is a computer with webcam and microphone. • Unlike other offerings we do not charge a subscription fee. There’s no entry barrier. • You set your own prices for your services, based on your own perception of their value. • Your customers can contact you directly when you’re online or book a session with you from your own personal calendar on the system. You can reschedule or cancel future sessions at any time. No more cumbersome time management or necessity to sit all day in front of computer. You have more time for yourself. • Our marketing programs will help to promote your business in the internet. You will get more clients than you could find yourself. • Your earnings on the system can be transferred to your bank account anytime. You don’t need to wait until the end of the month. You’re in control of your finances. 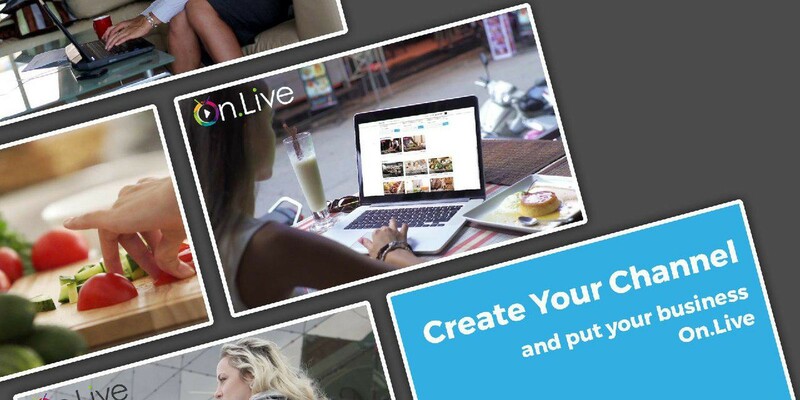 If your freelance work involves contact with people and you know you can benefit from doing it online, look no further, as On.Live provides most flexible solution on the market. Sign up to the platform, create your channel, place your offers and see for yourself how On.Live can change the way you do your business.